Welcome to CME on ReachMD. This activity, titled Precision Oncology: Incorporating Next Generation Sequencing in NSCLC, is provided in partnership with AGILE and is supported by an independent educational grant from Thermo Fisher Scientific, Clinical Sequencing Division. Here’s your host, Dr. Joshua Bauml. The availability of targeted therapies, such as gefitinib, erlotinib, afatinib, osimertinib, crizotinib, alectinib—all of these emerging drugs have really changed the landscape for a select group of patients with metastatic non-small cell lung cancer. Historically, lung cancer was treated with just cytotoxic chemotherapy, which was a rather one-size-fits-all approach, but we’re now learning that each subtype of non-small cell lung cancer may have its own specific therapies, and we’re now seeing this with targets such as EGFR, ALK, ROS1, BRAF, and these have led to FDA approvals for these specific agents. From the ReachMD studios in Fort Washington, Pennsylvania, this is CME on ReachMD. I’m Dr. Joshua Bauml. Joining me is Dr. Timothy McCarthy, medical oncologist with Virginia Cancer Specialists in Fairfax, Virginia. Welcome. Hi, Dr. Bauml. Thanks for having me on. Today we’ll be discussing how next-generation sequencing, companion diagnostics, as well as other forms of NGS can help oncologists and pathologists determine the presence of specific mutations to make the best personalized treatment decisions. So, why don’t you start us off with the rationale for incorporating genomic testing for non-small cell lung cancer into patients in the community oncology setting? Great. Thanks, Dr. Bauml, and I think you really hit on it on the initial introduction that we’re learning to be able to really personalize the treatment more to the patient. This idea of learning the individual and what specific mutations or abnormalities they have allows us to really tailor the therapy. And just a few of those, when we look at some of the abnormal signaling pathways we’ve identified—for example, EGFR, which is the epidermal growth factor receptor overexpression, is one. You also mentioned, for example, rearrangements in the ALK pathway, the MET gene amplification, RET mutation, ROS1. We have targeted drugs, for example, with gefitinib, erlotinib, afatinib, and the EGFR pathway, osimertinib, as well as with ALK, crizotinib and alectinib, so this is something that we’ve been learning can really help to improve treatment, less toxicities, better outcomes. One of the questions that comes up frequently in my practice is: Who should we be testing? Right? Which patients who come in with non-small cell lung cancer do you tend to be testing for molecular alterations? And all of the alterations that you mentioned—there’s EGFR mutation, BRAF mutation, ALK, ROS1, RET translocations—these are most often seen in adenocarcinoma of the lung, so it’s important that when you speak with your pathologists to hear about the histology, you want to know sort of what is going on, what can we expect in terms of our targeted approach for those patients. But when you’re getting access to these NGS platforms, what sort of—what’s available in the community for genetic profiling? We know that many patients are being profiled and having their genes looked at, but still not enough, and the real question is: Why is that? When you think about—stepping back a bit—the older method, there’s obviously the Sanger sequencing and the immunohistochemistry and other methods of looking. The issue that I’ve run into, and I’m sure many oncologists have run into, a big one is time, as well as limited tissue availability, and we’ve all kind of had the experience where some tests might have been done and they have run out of quantity or quantity is not sufficient, so that’s when we look at some of the—talk about some of the idea of next-gen sequencing. And, you know, in simple terms, what we mean by next-gen sequencing is the idea of both increasing the speed, the accuracy, reducing costs, and hopefully, ultimately, giving us more accurate, quicker diagnosis, and the fundamental behind that is really to massively parallel sequencing of smaller tissue samples. And there are a number of tests available to perform in the community. When we look at that, for example, there are a number of—there are certainly, for example, Ion Torrent, the Oncomine Dx target, the Foundation, Harris MiniSeq, some of the ones that are commonly used by us in the community. There are 454 sequencing, which is older, has a longer, higher error rate, several laboratory-based tests. There’s obviously work right now going on about so-called third generation sequencing down the road, but really, there is no limitation as to what might be available to the community of oncologists. I’ve found it’s really a discussion of pathologists or the individual practice about which particular next-gen sequencing platform they’re using or their lab may be familiar with or who they have a relationship with. Yes, I think that’s absolutely critical, and knowing what test your colleagues in pathology are doing is really an important part of the process. I can say many times when I speak with my colleagues across the country, I’ll say, “Well, what testing is being done?” They say, “Well, we had the tumor tested.” And I think knowing what test was done is really critical. We need to be aware when we’re getting those test results what sort information is coming out of it. So, we discussed before translocations and ALK and ROS1. Well, if your NGS platform is not looking at translocations and reports out a mutation, unless you’re able to really delve on that report and really understand what information you’re getting. You need to speak with the people who are providing the test, whether it’s being done in your institution or in a commercial basis, to find out about the validation, and here it’s very useful to reach out to our colleagues in pathology because they understand what the analytical validation processes need to be to get these tests up to snuff. And it’s important to remember that not all the tests that may be available are validated, and so you want to make sure you’re using a test that gets the answer that’s most appropriate for your patient. So, for those just tuning in, this is CME on ReachMD. I’m Dr. Joshua Bauml. Joining me is Dr. Timothy McCarthy to discuss the role of genomic profiling in guiding clinical decisions for non-small cell lung cancer patients. There was a recent retrospective study that looked at multiple community oncology practices; 191 of them found that only 15.4% of non-small cell lung cancer patients actually underwent NGS testing. Are there guidelines that guide which specific profiles need to be done, and why aren’t they followed more aggressively in various clinical settings? And I should say this is not limited to the community. We also see this in academia. Another practical barrier is that lack of tissue, as we’ve said. I think education is a piece to that, knowing what’s available. I think a lot of people now are knowing to test with EGFR and ALK, for example, ROS1, checking PD-L1 levels upfront, but that continues to change as we’re talking about learning to check HER2, RETs. What I would add to that is that often when you have a patient with metastatic lung cancer who comes into your clinic with a diagnosis, it’s very, very difficult to tell that person, “Look, I want to wait but it really is very important that we get this testing done, and so what I would point to is when you think about the use of immunotherapy, so we now in a nonsquamous patient—we can give a patient with nonsquamous, carboplatin, pemetrexed, pembrolizumab, regardless of PD-L1 status. And some would say, “Well, I don’t need to wait for the testing; I can just go.” But it’s important to remember that in many of these chemoimmunotherapy studies, patients were excluded if they had EGFR or ALK alterations, and it’s very important to remember that, because not only were they excluded from the trials, meaning we don’t know how they would do, we have reason to believe that if we give patients who harbor these alterations immunotherapy in the first-line, they do worse. it actually requires a lot of time and effort to truly yield a reflexive testing in an intelligent fashion, because these are complicated situations. So, what strategies have you found to be helpful in terms of ensuring that your patients do get tested and are treated in a more personalized approach? As we know in all types of cancer, really the multidisciplinary approach is key, so that’s having, as I mentioned before, the pulmonologists, thoracic surgeons, the pathologists, radiation oncologists, on the same field in terms of knowing what they are looking for. When we look at the testing that’s being done, part of this is educating about knowing, for example, what tests should be done. Cell type, we talked about non-small cell, for example. Eighty-five percent of the lung cancer is non-small cell, and the vast majority of that adeno, but making sure that that is known with pathologists, for example, that we don’t necessarily want to run the same testing on the small cell lung cancer or a squamous, so that very early step, giving some education about what testing should be done on the appropriate. I find that stage is really a key, and pathologists at times have the information, and other times they just have the cells in front of them, so knowing the best to try to communicate to them this is what looks locally advanced or looks like metastatic setting where we certainly want that testing. That often happens before they get to us as the medical oncologists, so we have worked… And I know in our community we have had discussions and in our tumor boards and even outside of the office try to talk to our local referring docs and surgeons and pulmonary docs about them being aware of staging as well and reflexing that to the pathologists, for example, when they send the sample to say, “It’s multiple node, this looks advanced, please move forward with the testing,” to really get that rolling before they have the result even there. So I think that’s really the key, is working together with all of our colleagues in the multidisciplinary. Pathology is a key driver of that, and I know in our setting we have a pathologist. We speak, we e-mail; they have my information, so we constantly have some conversations. I, unfortunately, don’t always know ahead of time. I’m sure you have the same setting where a lot of times they come to you with a diagnosis and we wish we could have gotten the test going sooner, and that is something where, if we can start that process earlier, I think that’s the key. It’s really a multidisciplinary approach to education, making sure everybody who might be a stakeholder or take care of these patients is aware of what the process is, kind of what standard of care should be in testing. I completely agree. Communication is critical. One of the other things that I found is really important when communicating with our colleagues in internal medicine who often see these patients before they have the diagnosis is what we’re biopsying. But the other aspect which does come up here is if a patient has bony disease. There’s a big impulse to say, “Oh, I can biopsy that. It won’t hurt the patient too much, not too dangerous.” The problem, of course, with bony biopsies is that the decalcification process can degrade the DNA and render the results of next-generation sequencing rather questionable. Now, you can work very closely with your pathologist to ensure decalcification does not happen. Another thing which does come up quite frequently: historically, there was an issue in terms of reimbursement for this sort of testing. We now have FDA approvals for multiple NGS platforms. For patients with nonsquamous non-small cell lung cancer, I think it has been a boon to those patients, because we don’t have to worry prior to the testing, “Will this be reimbursed? How can we coordinate this? cost is coming down when we look at the cost of sequencing compared to a few years ago. And the fact that it’s being reimbursed and supported really is helping to reduce that burden,. Well, there is clearly a lot to keep in mind here with NGS in non-small cell lung cancer in the community settings. I’d like to thank my guest for joining me in this important discussion. Dr. McCarthy, it was great having you on the program. This CME activity was provided in partnership with AGILE. 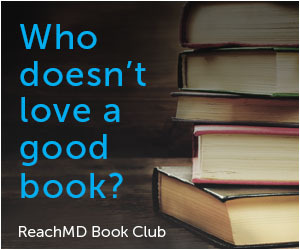 To claim your free CME credits, please complete the post-test and evaluation by visiting ReachMD.com/GOA. Oncology experts discuss how next-generation sequencing can help oncologists and pathologists make personalized treatment decisions. Non-small cell lung cancer (NSCLC) is a leading cause of cancer death in the United States. 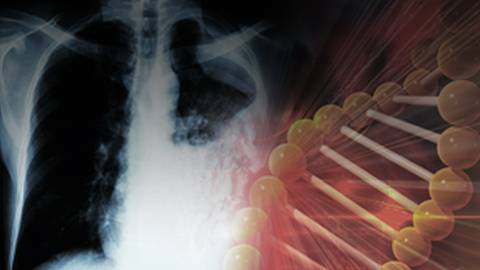 Identification of targetable mutations has led to the development of therapies and improvements in NSCLC patient outcomes. However, many patients continue to experience poor survival due to suboptimal genomic profiling and treatment. In this activity, we will evaluate the advantages of NGS testing platforms and companion diagnostics over the conventional genomic profiling approach and discuss strategies to overcome barriers to wide adoption in community oncology settings. Dr. Joshua Bauml is joined by Dr. Timothy McCarthy to discuss incorporating NGS in NSCLC. Dr. Bauml receives consulting fees from AstraZeneca; Boehringer Ingelheim; Bristol-Myers Squibb; Celgene; Clovis Oncology; Genentech, Inc; Guardant Health; Merck; and Takeda; and conducts contracted research from AstraZeneca; Janssen Pharmaceuticals, Inc; Merck; Novartis; and Takeda. Dr. McCarthy has no financial relationships to report. Lawrence Sherman, FACEHP, CHCP, has nothing to disclose. Incorporate a management strategy to include companion diagnostics to ensure personalized treatment for patients with NSCLC in the community oncology setting. Evaluate the advantages of FDA-approved NGS testing platforms over conventional genomic profiling approaches. Discuss strategies to overcome difficulties in integrating NGS testing in NSCLC and effectively communicate with pathologists. This activity is designed to meet the educational needs of community-based medical oncologists, other oncologists, pathologists, and oncology nurses. AGILE - Academy for Interprofessional Learning and Education - designs, develops, and delivers education across a broad spectrum of diseases and clinical conditions. Our mission is to serve as a trusted source of clinical information that helps healthcare professionals improve competence, performance, and patient outcomes. This activity is supported by an independent educational grant from Thermo Fisher Scientific, Clinical Sequencing Division. The views and opinions expressed in this educational activity are those of the faculty and do not necessarily represent the views of TOPEC and AGILE. This presentation is not intended to define an exclusive course of patient management; the participant should use his/her clinical judgment, knowledge, experience and diagnostic skills in applying or adopting for professional use any of the information provided herein. Any procedures, medications, or other courses of diagnosis or treatment discussed or suggested in this activity should not be used by clinicians without evaluation of their patients’ conditions and possible contraindications or dangers in use, review of any applicable manufacturer’s product information, and comparison with recommendations of other authorities. Links to other sites may be provided as additional sources of information. Once you elect to link to a site outside of AGILE, you are subject to the terms and conditions of use, including copyright and licensing restriction, of that site.